Petite and sleek and perfectly on point! 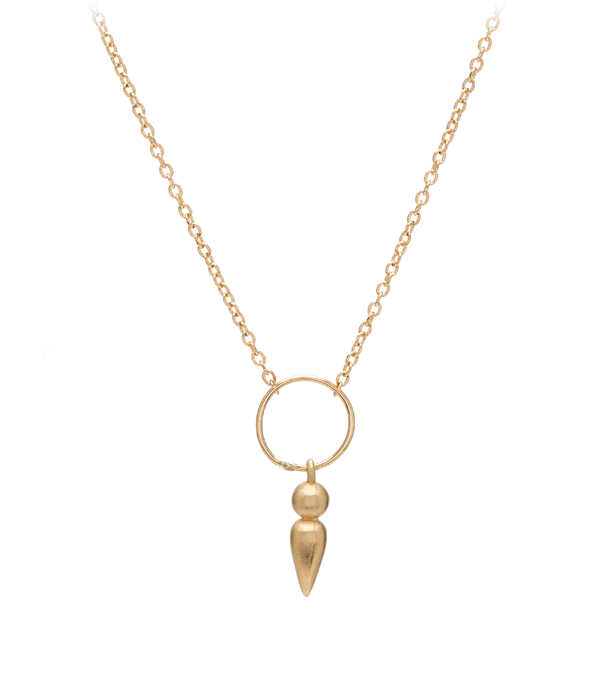 A tiny sculpted spear dangles freely from a hand-turned loop centered on a dainty cable chain necklace. A fabulous layering piece, this necklace holds its own as an everyday piece, but also plays nicely with others and looks fabulous as a part of most any layering combination. This modern spear tip necklace is a fabulous way to add a little edge to your ensemble, while keeping a bright disposition. Categories: Aria, Necklaces, Under 500.